Sixty hours at the Centre and nine additional hours of observation – either immediately after the course or parallel to the course. Specific topics to focus on will be given for observation. Submission of three papers (500 words each) on topics set by the course, to be submitted by a date stipulated by the course director. In order to obtain the Birth to Three Assistants Course Certificate a minimum of 90% attendance is required. It is recommended that selected reading from the four books listed below be undertaken during the course to prepare the Assistants for further reading after the course. The Child’s Mind from 0-6 years also touching upon Sensitive Periods, but emphasising the power of the Absorbent Mind, particularly the Unconscious Absorbent Mind. Development of Movement and its significance for the child under three. This also includes practising basic movements such as walking within the environment, carrying trays, chairs, materials, opening and closing doors, drawers, etc., as a model for the children in a Montessori Prepared Environment. Overview of the development of language, also taking into account the following elements: preparation of the adult; use of language in general; the need for correct, precise, rich, scientifically exact vocabulary; techniques for vocabulary building; how to listen to children; how to elicit language; and how to give a 3-period lesson. Overview of the development of independence, also taking into account different levels of independence—physical, mental, emotional, and spiritual, as conditions for interdependence. Practice how to help to dress and undress children under three and the importance of clothing for the development of children. The role and nature of the Home, Nido, Infant Community environments (including the physical and the intangible aspects). 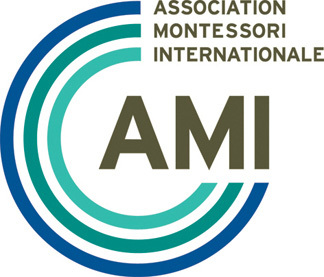 Understanding the concept of Freedom from the Montessori point of view and the growth of Discipline as an inner development the foundation of which is laid from birth to three. Theory and techniques of music and art and how these can be offered to children under three. Toilet learning in Nido and Infant Community.